﻿﻿ Take a few minutes to look at our rightBETA top bike tips to get you on the road to cheaper motorbike insurance. 1. Modifications have a different impact on bike insurance than they do on car insurance. Almost any modification to a car will cause most insurers to raise your premiums. 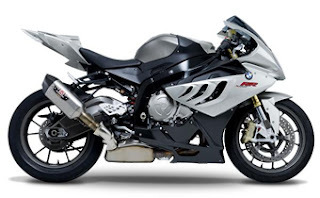 Minor bike modifications won’t greatly increase your premiums unless they enhance the performance of your bike or add notable value - in which case you can almost certainly expect higher premiums. 2. Although it may be a little quicker, don’t take it for granted that your renewal quote will be the best deal available in the market. The insurers change their premiums frequently, and your recent details may also lead to a cheaper quote than in previous years. Make sure you compare prices and policy details from several insurers to see which suits you and your budget best. 3. If you decide to add a voluntary excess to your policy it will often lower your bike insurance premium costs. But don’t take this for granted again – it’s easy enough to compare quotes from many providers with excess. Once you know how much you stand to save, you can make an informed decision on whether the voluntary excess is worthwhile. 4. By taking steps that make it less likely that your motorcycle will be stolen, you can lower the risk insurers take by covering you, and in return they can often offer you a cheaper bike insurance quote. Using approved alarms and tagging systems and storing your bike in a locked garage can help keep your bike secure and your wallet happy. 5. Keep your mileage as low as possible, and inform the insurer of your average annual mileage. There’s no point in paying for time that you don’t spend on the road, and insurers realise that the less mileage you put on your motorcycle, the less likely you are to need to claim. 6. It may seem obvious, but one of the best ways of keeping your insurance costs down is to drive carefully. The quality of your license may raise bike insurance quote prices, and any claims made on your insurance can push renewal costs up. 7. If you don’t claim on your insurance, you grow your no claims bonus, which year by year saves you more money on your motorcycle insurance until you reach a maximum discount. For an additional premium, some providers will give you the option to protect your no claims bonus, which can help you to keep the discount you have earned even after making a claim. 8. If you don’t yet have a no claims bonus, or many years riding experience it may be best to start out with an older, smaller bike. A less valuable motorcycle with lower performance is seen as less of a risk by insurers and should save you some money when it comes to premiums. 9. Be honest with your insurer – There’s no point in saving money on your premium by giving false details if it means any claims can be turned down for non disclosure. Although it may be tempting to claim a lower mileage or a better security system on your bike, having your claim turned down could prove very expensive in the longer run. 10. It’s worth comparing the value of your bike to the cost of different types of insurance cover. If your bike has a relatively low value, you could for example get a cheaper bike insurance premium by taking on Third party, fire and theft cover instead of comprehensive cover. Third Party and Third party, fire and theft are often less expensive than Comprehensive insurance, but also provide you with less cover.